Dogs Stevie and Mac are adoptable at the Missaukee Humane Society. Cats Daisy and Joss are awaiting a new home at the Little Traverse Bay Humane Society. Every year, the Michigan Department of Agriculture releases the “Michigan Animal Shelter Activity Reports” for licensed animal shelters in Michigan. Fostering-only groups do not have to report but sometimes they do as well. This report includes, among other things, intake and euthanasia information. My reports are different than others who do “save rates” because I think they are more accurate. 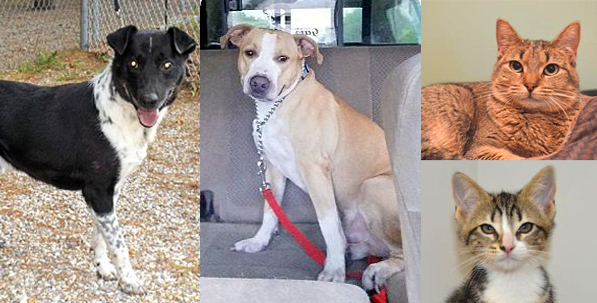 I think the true measure of how a shelter is doing is what their euthanasia rate is. Obviously, there are those times when euthanasia is the only choice when a pet is sick or aggressive and even the best shelters and rescues have higher numbers in different years based on the kind of animals they rescue or accept into their system. I also think that a shelter should be judged on the animals that it has a responsible to house and adopt. Because of this, I subtract the owner requested euthanasias and the returned-to-owner animals from the intake amount – which leaves a more accurate number of animals that the shelter is responsible for. For the purposes of Pet Friend Magazine’s 7th Annual “PAW” Award (Pet Friends Animal Welfare Award), the winners are based on the percentage of the least amount of euthanasias for the year 2014 compared to the intake numbers of cats and dogs after I have made the subtractions to their intake numbers as mentioned above. To be eligible for the award, a rescue group or shelter must take in at least 50 animals to make them comparable to other shelters in deciding who wins the awards. The Missaukee Humane Society in Lake City is the winner of the 2014 PAW Award from Pet Friends Magazine in the DOG category for the least amount of euthanasias. The Little Traverse Bay Humane Society in Harbor Springs is the winner of the 2014 PAW Award from Pet Friends Magazine in the CAT category for the least amount of euthanasias. An online petition to repeal Michigan’s 2011 law allowing the purchase and use of consumer aerial fireworks is underway here. As of Wednesday afternoon more than 18,000 residents have signed the petition, which calls for Michigan’s legislature to repeal the Fireworks Safety Act 256 of 2011. The law allows communities to enact local ordinances defining hours and days (aside from the day prior to, day of and day following national holidays) that residents can set off fireworks. It runs parallel to legislation introduced by State Rep. Henry Yanez (D-Sterling Heights) in June to repeal the law and reintroduce restrictions on consumer fireworks in Michigan. Click here for the rest of the story. More pets go missing over the Fourth of July weekend than any other time of year, according to the American Society for the Prevention of Cruelty to Animals. What to Do If You See a Pet in a Parked Car on a Hot Day in Grand Traverse County? Pets can suffer and die when left inside a parked car even on a mildly warm day. On a 70 degree day, the temperature inside a parked car can still reach 100 degrees in just 20 minutes. Animals left in a vehicle even with the windows cracked open can succumb to heatstroke in 15 minutes. Dogs and cats cool themselves by panting and by releasing heat through their paws. 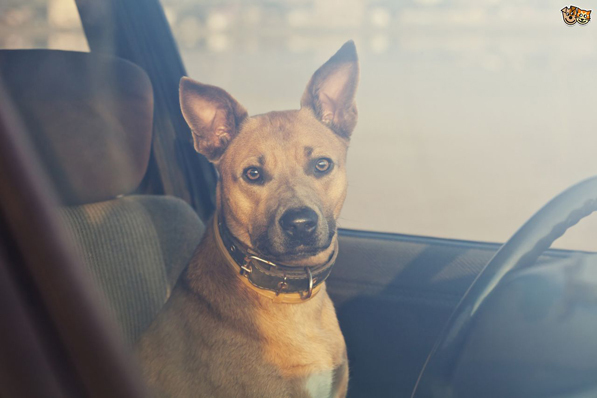 The air and upholstery in your vehicle can heat up to high temperatures that make it impossible for pets to cool themselves. The state of Michigan is taking a second look at Logan’s Law, which if approved could prevent animal abusers from adopting pets from state-run shelters. Supporters of Logan’s Law are pushing for approval because it would require animal shelters to run a criminal background check on potential adopters to see if they have a history of abusing animals. If a person abused animals in the past the shelter would reserve the right to refuse to let the person adopt an animal from them, according to the law’s Facebook page. The law was inspired by a Siberian husky named Logan who was attacked in his own backyard with acid that eventually led to his death. The attacker was an anonymous intruder who was never identified. Click here for the rest of the article. Old cat litter box issues develop whether your cat learned faithful toilet etiquette as a kitten or developed hit-or-miss potty problems as an adult. While many senior citizen felines never have problems, it’s a good idea to be aware of potential toilet challenges and help your old fogy cat retain “old faithful” status. Click here to learn about seven tips for solving old cat litter box problems. Heidi Yates pulled a chair out from under her office table and discovered new “shelter cat” Christine curled up on its seat. “A shelter has to have a shelter cat,” said Yates, as she pulled out another chair for herself. The new executive director of Cherryland Humane Society has been on the job fewer than four weeks but already it’s clear that changes — big changes — are in store for the nonprofit that has received increasing criticism for its resistance to just that. “I’m pretty aggressive about change,” said Yates, who already “tweaked” the adoption application, started “pet partnerships” for off-site adoptions at places like Pets Naturally and PetSmart, and reached out to area vets and animal rescue groups to establish new relationships. One of Yates’ main goals is to test incoming animals for certain viruses and diseases and to micro-chip and sterilize outgoing animals before they’re adopted. “Those are what I feel is standard. I feel they’re important not only for the adopter but for the animal. A goal is to help stop pet over-population,” said Yates, who also plans to organize a foster program and work toward a no-kill policy. Click here for the rest of the story in the Record-Eagle.